3.4. When in 1805 was the commission altered? 6. Were the busts truly produced by Thorvaldsen? 8. What do the sources say? In 1804-1805, Baron Theodor von der Ropp, a Baltic German nobleman from Mitau in Courland, commissioned ten works by Thorvaldsen. These were completed in marble no later than 1810; see below for a detailed account of the commission’s history. The commissioned works comprise eight busts copied from classical models, along with two “original” Thorvaldsen pieces, namely, the relief Briseis and Achilles (cf. A490) and the Venus statue (cf. A12, its later, larger version). The eight busts have since vanished. They are known today only from the photographs reproduced below, which Thorvaldsens Museum received in 1927. The two remaining works are located in the National M.K. Čiurlionis Art Museum in Kaunas, Lithuania. Ropp also owned a pencil-drawn portrait of Thorvaldsen; see here for more details. The eight busts were previously not accepted as authentic works by Thorvaldsen, mainly on the basis of incomplete knowledge of the case. Closer inspection reveals, however, that there is no reason not to ascribe them all to Thorvaldsen; and this is accordingly done in the present article. For more on the subject, see below. The busts also bear concrete witness to Thorvaldsen’s early appropriation of the visual-formal language of antiquity. They thereby contribute significantly to understanding Thorvaldsen’s reception of antiquity—and thus his starting-point as a neoclassical sculptor. The relief Briseis and Achilles has the distinction of being the first version of that relief to be commissioned in marble. It was later rendered in three marble copies, all extant; but the marble carving of the version in Kaunas seems to be of very high quality. 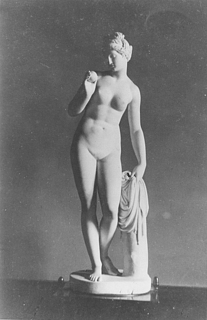 The Venus statue is now the only extant version of the Venus that Thorvaldsen would later recreate on a somewhat larger scale in 1813-1816; cf. A12. Marble, 80 cm (as recorded on the 1927 photograph). Unsigned. Marble, 74 cm (as recorded on the 1927 photograph). Unsigned. Marble, 72.3 cm (as recorded on the 1927 photograph). Unsigned. At the time of Ropp’s commission, the bust was regarded as an Ariadne. Marble, 66 cm (as recorded on the 1927 photograph). Unsigned. Marble, 64 cm (as recorded on the 1927 photograph). Unsigned. Marble, 56.5 cm (as recorded on the 1927 photograph). Unsigned. Marble, 50.5 cm (as recorded on the 1927 photograph). Unsigned. Marble, 51 cm (as recorded on the 1927 photograph). Unsigned. The model for this bust could not be identified. For more on this, see below. A list by Thorvaldsen on a letter dated 19.10.1805. A list by Thorvaldsen on a letter dated 5.7.1810. A list by Wilhelm Friedrich Gmelin, probably dated 30.12.1810. An article about Ropp’s collection by Heinrich Hase artikel dated 25.10.1821. NN, Catalogue des Tableaux…, op. cit., cat. nos. 1-10. Thorvaldsen’s statement to Frederik Ferdinand Friis dated 8.1.1829, items 13 (where the eight busts are mentioned) and 24 (where the relief Briseis and Achilles is mentioned, though not Venus). In Thorvaldsen research Ropp’s commission has been treated somewhat warily, not least because it has been difficult to discern the commission’s actual contents or the course of its execution. Nevertheless, the above lists do correspond solidly with the accounts of Thorvaldsen’s works in Ropp’s collection in Courland, and so leave no doubt about the nature or precise contents of the final commission. The German copper engraver Wilhelm Friedrich Gmelin, who served as Ropp’s agent in Rome for his dealings with Thorvaldsen, must have been responsible for the payments received by the sculptor. The final prices for Ropp’s commission are found in Gmelin’s list dated 30.12.1810, which is in all likelihood an accounting of the commission that he and Thorvaldsen made jointly at the time of the works’ completion; on this see the timeline of the commission below. These prices match the amounts that Thorvaldsen had made note of earlier; see the list appended to his draft letter dated mid-September 1805, as well as the list on his letter dated 19.10.1805. It is only in a later list, appended to his letter of 5.7.1810, that Thorvaldsen raised the prices of three busts by 10 scudi each; see the explanatory notes to the relevant individual amounts. These increases were not, however, incorporated into the final accounting of the commission. Note that the prices for the busts are, generally speaking, proportional to their height: the taller the bust, the more expensive. Gmelin’s final list also reveals that, in the period up to 1810, Thorvaldsen had received a total of 900 scudi, meaning that 420 + 100 scudi (for the Jupiter Otricoli bust; see below) were left to be paid. It must thus be assumed that the sculptor was paid in three installments of 450, 450, and 420 + 100 scudi, respectively. It was Thorvaldsen’s normal practice to be paid in installments for his commissions; on this see, e.g., the related article on Thorvaldsen’s Works, Payment in Installments. Here follows a reconstruction—motivated by the uncertainty that has plagued Ropp’s commission in the past—of precisely what happened when. Readers uninterested in the minutiae may prefer to skip to the Timeline below, where the main events are summarized. and Juno Ludovisi, which at the time was located in Villa Ludovisi. The bust is found today in the National Roman Museum’s collection at the Palazzo Altemps in Rome. Beyond producing these ten new busts, Ropp also requested that Thorvaldsen restore anew an ancient Sappho bust that had been restored previously. For more on this request—which was never fulfilled—see below. Work on Ropp’s commission was begun more or less immediately. Thorvaldsen had his assistant, the sculptor Peter Kauffmann, start work on the rough carving of some of the busts immediately. By August 1804, Kauffmann was finished with one of the busts, and had also started work on the bust of Homer; see the letters of 6.8.1804 and 11.8.1804. It is also possible that Camillo Landini, another assistant of Thorvaldsen’s, was already involved in the project at this point. The 1804 commission was altered, however, as is attested by numerous documents that list the contents of the final commission—such as, for example, the list dated 30.12.1810, or the description of Ropp’s collection in 1821. Ropp wished to replace four of the busts that he had originally commissioned with “original” Thorvaldsen works, namely, a Venus and a relief of Briseis and Achlles; see, e.g., his letter dated 23.1.1811. Nur muß ich Ew Hochwohlgeboren erinnern daß wie Sie die 4 koll[o]ssale Büsten bei mir abbestellten die des Jupiters vaticano schon im Marmor angelegen und also der Marmor zu keinem anderen Gegenstande mehr zu gebrauchen war, so musste ich schon denselben beendigen… Sie werden es also nicht unbillig finden wenn ich Ihnen diese abbestellte sehr mühsam gearbeitete schöne Büste, und die Preparation zu der abbestellten übrigen Büste zu 100 Scudi anrechnen und mir erlaube die prächtigste aller Büsten den übrig[en] Arbeit[en] zufüge und mitschicke. When the works finally arrived in Courland a few years later, in 1817, Ropp responded that he would naturally pay for the the bust of Jupiter. According to Ropp family lore, as recorded in Clemen 1919, op. cit., p. 144, Ropp’s commission of the Venus statue dates back to the early days of his acquaintanceship with Thorvaldsen. On Clemen’s account, the two men were standing together one day in front of a Venus carved by the Italian sculptor Antonio Canova. And suddenly: Da regte sich in der Seele des jungen dänischen Künstlers der Wunsch, auch einmal in einer Venusstatue sein Ideal weiblicher Formenschönheit zum Ausdruck bringen zu können. Doch fehlten ihm die Mittel zum Kauf eines so großen Marmorblocks. Sogleich erklärte sich Theodor von der Ropp bereit, ihm das nötige Geld vorzuschießen, und kaufte ihm dann die Venus ab. While there may be some underlying truth to this tale, it seems to have been greatly embellished between Ropp’s lifetime and the 1919 composition of Clemens’ article. There are simply certain facts that do not fit the story. It is true enough that, in 1804, Canova received a commission for a Venus Italica; and it is certainly possible, in principle, that Ropp and Thorvaldsen saw this statue in its plaster model state in Canova’s studio. Yet while Ropp did commission a Venus from Thorvaldsen at some point in 1805 (see more on this below), he was not the first to do so. One year earlier, in March 1804, Thorvaldsen had already received a commission from the Russian countess Vorontsova for the same Venus statue that he would later make a version of for Ropp. The Danish sculptor had already begun work on Vorontsova’s Venus in 1804, and completed it in 1805; see the survey of sources in the Related Article on Vorontsova’s commission. This indicates that if Ropp and Thorvaldsen did indeed view the Venus in Canova’s studio jointly at some point in 1805, this cannot have been the event that triggered Thorvaldsen’s desire to create a statue of Venus. For he had already fulfilled that wish. Nevertheless, there may have been some truth to this bit of Ropp family lore. If there was such a visit to Canova’s studio, it may indeed have led to Ropp’s ordering a corresponding statue by Thorvaldsen; indeed, this may have been the factor that triggered Ropp’s general wish to alter his previous commission. As the following section will make clear, it is not known with certainty when or why Ropp’s original 1804 commission was altered. When in 1805 was the commission altered? It is uncertain precisely when the commission was altered. Thiele writes (II, p. 15) that when, in 1805, Ropp “made his way to Rome to check on the busts [he had ordered, he also] commissioned” the relief Briseis and Achilles. Thiele does not mention the Venus statue, which he evidently did not know Ropp had also commissioned; nor was he aware that Ropp had cancelled his order of four of the busts. Nor is it even known with certainty that Ropp did in fact return to Rome in 1805, as Thiele claims. It is possible that Ropp had already seen both Venus and Briseis and Achilles in plaster in Thorvaldsen’s studio in 1804, and that he had altered his commission by letter. Thiele’s account should thus be taken with a grain of salt. At first glance, the sources suggest that Ropp’s commission was altered over the course of the autumn of 1805. At around September 1, 1805, both Landini and C.F.F. Stanley wrote to inform Thorvaldsen, who was staying at Montenero, that they were attempting to procure a plaster cast of Jupiter Otricoli, which was to serve as the basis for Ropp’s marble copy. This indicates that, by this time, Thorvaldsen’s assistants were not aware that Ropp had asked to remove the four colossal busts, including Jupiter Otricoli, from his commission. The first extant written source for Ropp’s final commission is a list that Thorvaldsen penciled onto a letter from Nicolai Abildgaard, which had been sent from Copenhagen on 19.10.1805. The letter must have reached Rome between about three weeks and two months later (on this see the Related Article on Mail Processing Time), and it seems likely that Thorvaldsen added the list of commissioned works to the letter shortly after receiving it. In short: the earliest source we have for the final, altered commission is one that likely dates to the end of 1805. It can thus be inferred that Ropp altered his commission at some point between September 1805 and the end of the same year—whether at a meeting in Rome, which could only have taken place after Thorvaldsen’s return from Montenero on 21.9.1805, or via a letter that is no longer extant. All the same, there is also another, conflicting body of evidence. We know that the relief Briseis and Achilles was commissioned in yet another marble version by Thorvaldsen’s friend Conrad Rantzau during the same period. And this apparently must have taken place after Ropp had commissioned his version—at least if we go by a note added by Thorvaldsen to a letter dated 13.1.1813, or by an 1814 list of his earlier productions. In both of these documents, the sculptor writes that Briseis and Achilles was first produced for Ropp, and only afterwards replicato per Conte de Ran[t]zow in Holstein. If this indicates that Ropp’s marble version of Briseis and Achilles had already been commissioned when Rantzau ordered his own (this is the assumption at Thiele II, p. 31-32, where the author claims that the marble carving of Ropp’s relief had already been started in the summer of 1805, and that Rantzau commissioned his own marble copy only afterwards), then Ropp must have altered his commission prior to August 1805. For Rantzau’s letter to Thorvaldsen was sent in mid-August 1805, after he had parted company with him at Montenero; and Rantzau mentions in the letter that he had sent him a bill of exchange for 300 piasters, probably as payment for the relief and portrait bust of Rantzau himself, cf. A211. If this is accurate (despite the numerous uncertainties), it indicates that Ropp must have sent his new, revised instructions for his commission prior to August 1805. That would imply that Thorvaldsen had forgotten to inform his assistants that the Jupiter Otricoli bust had been canceled, inasmuch as we know, as mentioned previously, that his assistants were at work preparing the carving of the bust a month later, on around September 1, 1805. This seems rather unlikely, and is a mark against the theory that the commission had already been altered prior to August 1805. In sum, the extant sources provide conflicting information about precisely when Ropp altered his commission. 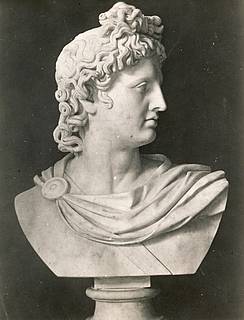 For all the points of uncertainty, however, the list Thorvaldsen appended to the letter from Abildgaard dated 19.10.1805 does document, with reasonable certainty, that the expansion of Ropp’s commission to include both Venus and Briseis and Achilles took place no later than at the end of 1805. Once Ropp had received all ten works in Courland in 1817, he wrote a letter of profuse thanks to Thorvaldsen. Ropp closed his letter by asking the sculptor to inform him of the potential cost of commissioning four statues with a height of five feet each. It is unknown whether Thorvaldsen responded to this inquiry. In any event, nothing came of this potential commission. At first Ropp had no interest having Thorvaldsen produce a bust of Sappho. No such bust is mentioned in Ropp’s first letter, dated 30.8.1804, which includes orders for copies of ten other ancient busts. 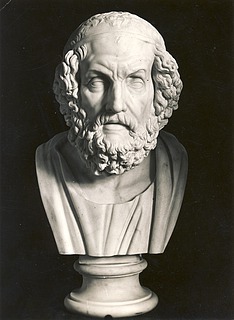 Instead, Ropp requested that the sculptor restore anew an ancient Sappho bust that he already owned, and which had been restored previously: Sie werden Lieber Torwaldsen auch die Güte haben, meinen antiken Kopf der Sapho von neuem zu restauriren, denn wie Sie wißen ist er sehr schlecht restaurirt. However, this request for restoration was never again mentioned by Ropp. In Thorvaldsen’s own records, we find only one Sappho mentioned in each of the two lists of commissions made by the sculptor in 1805; and in both of these cases, it is beyond doubt that Thorvaldsen was referring to newly produced busts. See the list dated mid-September 1805, and the list on the letter dated 19.10.1805. Nevertheless, in the two later accounts of Ropp’s collection that were published in the 1820s, we find both a Sappho bust by Thorvaldsen and an ancient Sappho bust. 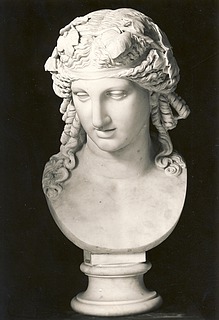 In 1821, for example, Hase lists eight busts by Thorvaldsen, including Sappho. He then adds: Dazu ein sehr beschädigter antiker weiblicher Kopf—1 Fuß 8 Zoll hoch—Sappho nach der gewöhnlichen Annahme genannt. There is, then, a discrepancy between the works Ropp ordered and those he received. 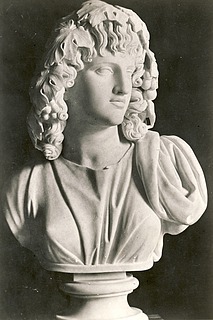 The original commission mentioned only the restoration of an existing bust of Sappho. Yet upon the arrival of the completed commission at Mitau in Courland, there were now two busts of Sappho in Ropp’s collection. A possible explanation for this discrepancy is that Thorvaldsen misunderstood Ropp’s request for a new restoration of an existing, previously restored bust, and instead simply produced a copy of an ancient bust, as he had done with the other busts in the commission. This is likely confirmed by the fact that, according to Hase, Ropp’s ancient bust of Sappho was still “greatly damaged” in 1821, meaning that it had not been restored (again)—assuming, that is, that it is the same ancient Sappho bust at issue in the two 1820s descriptions and in Ropp’s letter dated 30.8.1804. There is also another mystery surrounding the Sappho in the commission. As mentioned previously, it has not been possible to identify the ancient model for the Sappho bust that Thorvaldsen delivered. 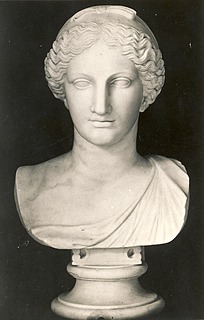 That this bust would have been identified with Sappho in 1804 can in part be attributed to the bands or cloth on the female figure’s head, and which—judging from the photograph—were perhaps thought reminiscent of the characteristic hairbands by which representations of Sappho have been recognizable since antiquity; cf. Helbig, op. cit., no. 3251. On the other hand, it is also conceivable that the reason why the ancient model for Thorvaldsen’s Sappho remains unknown is that in the years since Ropp’s commission, this bust has come to be identified with another ancient personage or mythological figure, and is no longer believed to have anything to do with Sappho. Another possibility is that the model for Thorvaldsen’s bust could have been a modern reconstruction or even forgery of an an ancient bust, and which has since been exposed and forgotten for that reason. Certain stylistic features of Thorvaldsen’s Sappho can be thought to support this possibility. Finally, it is also conceivable that there never was a model for Thorvaldsen’s Sappho, and that the bust instead represents the sculptor’s own more or less free attempt to recreate an ancient Sappho bust. Perhaps Thorvaldsen understood Ropp’s request for a new restoration as meaning that he should produce an entirely new reconstruction of the Sappho bust based on Ropp’s ancient so-called bust of Sappho. If that is the case, it would make Thorvaldsen’s Sappho a more “original” work than the other busts in the commission that are copies of classical models. These questions cannot be resolved, however, on the basis of the extant sources. Were the busts truly produced by Thorvaldsen? Here follows a summary of the reasoning behind this claim, so that readers may assess the issue for themselves. The main criterion to be used in determining whether the eight busts can in fact be attributed to Thorvaldsen pertains to his assistants’ participation in the production process. It was then standard procedure in sculptors’ workshops for assistants to execute the rough carving of the marble block, and for the master to perform the final chisel-work and corrections afterwards. This practice applied to the production of “original” works as well as to the copying of ancient busts. In the present case, the crucial question is: Did Thorvaldsen himself undertake the final sculpting of Ropp’s eight busts, or did he allow his assistants to complete them by themselves? These claims by Thiele and Sass, however, are not based on thorough knowledge of Ropp’s commission. It is clear that Thiele was unaware of, and/or had failed to identify, some of the relevant sources; as a result, his account of the case is somewhat mistaken. With regard to the busts, for example, Thiele presumed that “only a small portion of them were ever completed,” and he mistook the Juno Ludovisi bust for a Jupiter in Villa Ludovisi (ibid.). Sass (ibid.) misindentifies some of the busts, and is in error about their number. Such errors, of course, hardly confirm these authors’ reliability on the subject. During much of the history of Thorvaldsens Museum, it has been something of a tradition to regard the busts Thorvaldsen copied from classical originals as unimportant; on this see also below. 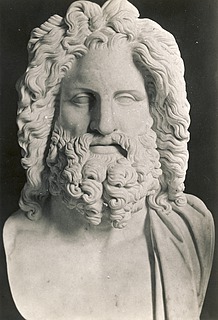 In the 1849 auction of Thorvaldsen’s estate, an “Apollo bust in marble, copy of an ancient [original]” and a “Socrates bust in marble, copy of an ancient [original]” were listed for sale in the category of “Sculptures copied from other artists,” even though these in fact were likely original works by Thorvaldsen; for more on this, see the Related Article on Busts of Socrates and Apollo 1805-06. Evidently, then, at the time of the 1849 auction, busts copied from classical models were simply not considered to be original works. Thiele and Sass’s account of Ropp’s eight busts thus represents a continuation of this tradition. If past scholars have been quick to assume that Ropp’s busts were not in fact made by Thorvaldsen, this is partly due to the sculptor’s own dim estimation of such works. 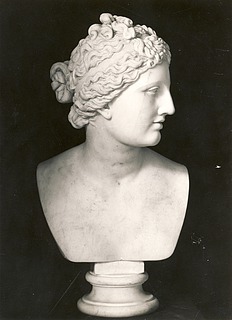 In 1844, shortly before he died, Thorvaldsen gave Henrik and Christine Stampe a version of Melpomene—the same bust as Ropp’s. That Thorvaldsen was prepared to give away such a piece can be taken an a sign that he did not consider copies of ancient busts, like Melpomene, significant enough to be put on display in Thorvaldsens Museum. As for the four extant busts, mentioned above, which are copies of classical sculptures: all four were acquired by the museum after it opened. That is, they were not part of the original collection that Thorvaldsen bequeathed to the city of Copenhagen. Although this remark does not refer specifically to Ropp’s bust, it undoubtedly expresses Thorvaldsen’s own attitude toward them. The question, however, is whether the word “speculation” reflects such stark contempt for projects of this kind that it would be reasonable to believe that Thorvaldsen delegated completion of these busts to his assistants, and then sold them under his own name. This, however, does not seem likely. The expression “made on the basis of speculation” suggests merely that Thorvaldsen believed that commissions of such busts would secure him a livelihood. What is more, for a sculptor newly arrived in Rome, the practice of making copies of ancient busts served to give him both experience in carving marble and detailed conversance in the visual-formal language of classical antiquity. Because Thorvaldsen soon demonstrated that he had mastered both of these challenges to perfection, it is not surprising that he later ceased to regard copying ancient busts as an artistic challenge. This would explain why he found the practice less essential by 1804, and still less important in 1829, at the time of his interview with Thiele, or in 1844, when he gave the Melpomene bust to the Stampes. All the same, it is one thing for a sculptor to regard some of his works as less essential than others, and quite another for him to let assistants complete certain works on their own and afterward represent them as works by his own hand. For the question at issue, this is the difference that makes all the difference. What do the sources say? If one takes the extant sources literally, there seems no doubt that Thorvaldsen was the busts’ artistic creator. In his draft letter to Ropp dated 2.2.1811, the sculptor writes plainly: “Herzlich danke ich Ihnen lieber Herr Baron für die gänzliche Bezahlung für meine Arbeit[en]…” [emphasis added]. Indeed, Ropp’s commission had expressly stipulated that the busts were to be made by Thorvaldsen himself. As Ropp wrote in his letter dated 30.8.1804: “Ich hoffe nicht nöthig zu haben meine Bitte zu wiederhollen, daß Sie selbst die Büsten beendigen.” In other words, Thorvaldsen and Ropp had made an explicit agreement about the extent to which assistant sculptors were to be involved in the production of these works. The case of Jupiter Otricoli offers proof that Thorvaldsen undertook the final sculpting of the eight busts himself. In his letter to Thorvaldsen dated 30.8.1805, Thorvaldsen’s assistant sculptor Camillo Landini wrote distinctly: “Bensi lo prego a posta corrente di dirmi chi dovrà abbozzare questo Busto.” (Please let me know immediately who should carve [‘abbozzare’] this bust.) In Italian sculpting terminology, the verb ‘abbozzare’ is used specifically to refer to the rough carving of a marble block undertaken by a master sculptor’s assistants. 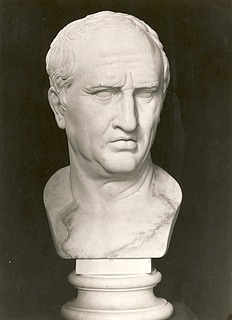 In the letter in which Thorvaldsen refused to accept Ropp’s removal of Jupiter Otricoli from his commission, the sculptor attributed this to the fact that “Jupiters vaticano schon im Marmor angelegen … war, so musste ich schon denselben beendigen…” Here Thorvaldsen differentiates clearly between the preparatory carving of the bust and his own completion of it. In the case of the Jupiter bust, then, there is no doubt that the assistants did the rough carving and shaping of the marble, while the bust was sculpted to completion by Thorvaldsen himself. In the recollections recounted by Thorvaldsen to Baroness Stampe, he described the busts from his early years in Rome as follows: “Then I copied several busts from classical models, to gain practice in marble sculpture…” (Stampe, op. cit., p. 92-93). Here, once again, there is no doubt that Thorvaldsen himself was involved in the production process. The same is true in the case of the aforementioned Melpomene bust, which Thorvaldsen gave as a present to the Stampes: here too, Thorvaldsen left no doubt that he himself was the piece’s creator. “This was one of the ones he himself had sculpted during his first years in Rome, to gain practice working in marble,” Stampe wrote (ibid., p. 244); and this information must have come from the sculptor himself. In short, we have no evidence supporting the claim that Thorvaldsen was not the maker of Ropp’s eight “Thorvaldsen busts.” On the contrary: the extant sources indicate merely that these bust copies were produced in the same manner as all of the other marble works in Thorvaldsen’s studio—carved initially and roughly by the assistant sculptors, and completed by Thorvaldsen himself—even though we have no ironclad proof that this was the case (though ironclad proof of such matters is found only very rarely). On this basis, it seems most likely that Thorvaldsen completed Ropp’s busts himself. Accordingly, they may be considered authentic works by Thorvaldsen. If doubts about this have arisen, they may be attributed to incomplete knowledge of the case; to a fetishism about originality that refuses to regard works that are “only” copies as originals; and to the fact that Thorvaldsen regarded the busts with considerable reservation, inasmuch as they were closer in character to exercises than to works that made his own artistic ideas manifest. As mentioned previously, the works commissioned by Ropp did not arrive in Courland until the spring of 1817. At first they were displayed in Mitau/Jelgava (today in southern Latvia), presumably in Ropp’s city residence, where his entire art collection could be viewed on a daily basis; cf. Hase 1821, op. cit. In approximately 1830, it is clear that at least the two “original” works by Thorvaldsen, Briseis and Achilles and Venus, were installed at Ropp’s newly built manor house Pokroy/Pakruojis (south of Mitau, in what is today northern Lithuania) (cf. Daugelis, op. cit., p. 203). These works were still standing at Pokroy in 1918 (Clemen, op. cit., p. 149), and remained in place until 1940/1941, as is clear from a 1940 photograph (Daugelis, op. cit., p. 150). After this, the two works were apparently nationalized by the Soviet Communists, and moved from Pokroy to the National M.K. Čiurlionis Art Museum in Kaunas, Lithuania, where they can still be seen today. Comparison of photographs of the Briseis and Achilles relief from different periods reveals that, at some point after 1940, the marble plate were broken between the figure of Briseis and that of the herald who is leading her away. As for the eight busts, which are documented as having been in Mitau/Jelgava in the 1820s (cf. Hase, op. cit., and NN, op. cit. ), it is possible that they were moved to another one of the Ropp family’s manors in Courland: either Neu-Autz (today Jaunauce/Jaunauzas, Latvia) or Feldhof by Neuenburg (today Jaunpils, Latvia). What is certain is that, at some point, all of the busts were gathered at Neu-Autz/Jaunauce. Four of them are visible in an 1918 photograph of a large hall (se Daugelis, op. cit., p. 146); and Clemen (op. cit., pp. 149-150) registered the presence of all the busts there one year later. They must then have been transported to Germany, where Ropp’s grandson Joachim von der Ropp was living, over the course of the 1920s (jf. jour.nr. 7b-75/1904). The eight busts were offered to Thorvaldsens Museum three times during the first decades of the twentieth century. The Museum demurred every time, on the grounds that the busts were mere copies—and also, it appears, on the basis of Thiele’s (incomplete) view of the matter. The first time this occurred was in 1904 (jour.nr. 7b-75/1904); the second time was in 1926, when Joachim von der Ropp met with Theodor Oppermann, then director of the Museum, to discuss the matter. One year afterward, von der Ropp sent photographs of the eight busts to the Museum, with an eye to evaluating their authenticity and, ultimately, to selling them. (These photographs are reproduced above.) Oppermann’s response was dismissive, and referred only to the account of the busts in Thiele I, p. 222 (jour.nr. 7b-66/1927), which, as we have seen, is not wholly reliable. During the same period, and within a span of only a few days, the busts were also offered to the Museum via the silversmith Georg Jensen’s store in Berlin (jour.nr. 7b-77/1927), as well as by another Berlin art dealer (jour.nr. 7b-80/1927). At the time, the busts were accompanied by a written evaluation by the German archaeologist Bruno Schröder, director of the Skulpturensammlung in Dresden. In 1936, the Museum was once again given the opportunity to acquire the busts via the Danish art dealer Adolf Petersen in Berlin. At that point, the works were being kept in an attic in Berlin’s Tiergarten quarter (jour.nr. 7II-19/1936). This is the last known testimony about the busts. They have since disappeared from history. Otto Clemen: ‘Die ehemalige Roppsche Kunstsammlung’, in: Beiträge zur deutschen Kulturgeschichte aus Riga, Reval und Mitau, Berlin, Riga, Leipzig 1919, p. 143-150. Osvaldas Daugelis: ‘Senovės sala permainų epochoje: Pakruojo dvaras’, in: Dvaras modernėjančioje Lietuvoje, (Vilnius) 2005, p. 142-160 and 203-204 (English summary). Fortegnelse over endeel af Thorvaldsens Værker i Marmor og Gips, Marmor-Fodstykker og -Blokke, Malerier, Kobberstik, Bøger, Medailler, Kostbarheder m. m. af Thorvaldsens Efterladenskaber, hvilke Thorvaldsens Museums Bestyrelse lader bortsælge ved offentlig Auction i Museets Forhalle d. 1ste Oktober 1849 og fölgende dage., Copenhagen 1849, cat. no. 89. Heinrich Hase: ‘Ueber die Gemälde und Marmore im besitze des Herrn von der Ropp zu Mitau’, in: Morgenblatt für gebildete Stände, Kunst-Blatt no. 86, Thursday, October 25, 1821, Stuttgart and Tübingen, p. 343-344. Wolfgang Helbig: Führer durch die öffentlichen Sammlungen klassischer Altertümer in Rom, vol. 1-2, Tübingen 1963-66. NN: Catalogue des Tableaux tous originaux de la Galerie de Messieurs de Ropp à Mitau, Paris, undated [1826 or 1828?]. Else Kai Sass: Thorvaldsens Portrætbuster, vol. 1, Copenhagen 1963-65, p. 56. Rigmor Stampe (ed. ): Baronesse Stampes erindringer om Thorvaldsen, Copenhagen 1912. Thorvaldsens Museum journal nos. 7b-75/1904, 7b-66/1927, 7b-77/1927, 7b-80/1927, 7II-19/1936, 7II-2/1967, 7II-2/1988.